I am growing really desperate now. I registered on Aastra forum for help but they are taking their sweet time to approve so i can post something. Anyway, I am salesman, running my own company and whole day I sit by the phone and computer and answer incoming calls and e-mails. I am using 2 x 480i phones here in this office and one in Florida when I go there. For provider I am using voip.ms and after years of struggling with trixbox and FreePBX and what not I was fairly happy for maybe year and half with voip.ms service. When you call my number voice mail answers and customer can select ext 1 (sales) and ext 2 (accounting). * I tried to fix this problem by chatting with voip.ms support. They suggested to remove everything from SIP settings and entering same data into LINE 1 settings. I did and have same results, dropped calls. * I have 2 independent DSL Internet feeds here and I switched phone to other one with no improvements. * One person suggested to change registration times from 15 to 120 or 180. I did, experienced often red light comes on the phone but no change in dropped calls frequency. I think you need to use the "divide and conquer" strategy here. Meaning trying to narrow down the problem. 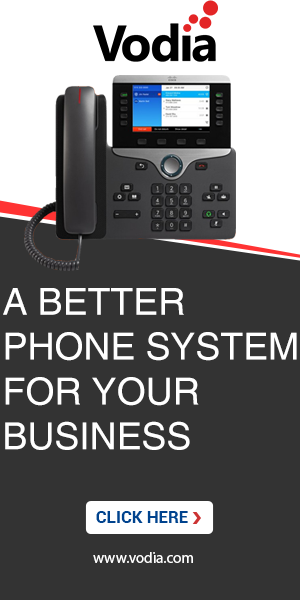 Essentially you have to make sure that the phone can talk to the PBX and that the PBX can talk to the provider. Your enemies: NAT and firewalls, and maybe even bandwidth. To make sure that the phone properly connects to the PBX, try calling the mailbox on the PBX a couple of times, and stay connected at least for a minute. Try calling another mailbox and leave a message, then (e.g. using the PIN) and listen to the message. Make sure that it is the same of what you actually said. Then when that is working, try calling your cell phone a few times. If you have random problems, you probably have a problem with the bandwidth. If it never works inbound or outbound, you probably have a problem with the SIP connection. Some more tips are on http://kiwi.pbxnsip.com/index.php/One-way_Audio and http://kiwi.pbxnsip.com/index.php/Troubleshooting_SIP_Trunk_Problems. You also might consider just using a hosted service. There are several providers offering hosted services based on snom ONE, please send me a private message to get contact data. snom ONE, thank you for input. I am using hosted PBX, that is voip.ms service. We are using their Toronto servers, we are in oakville, 60km away (if it matters at all). I will try what you suggested, must add that I almost never have problems calling out and be on line for longer time. Inbound calls are not getting through part doesn't work. Bandwidth should not be a problem, have 15/10 feed. Probably the DTMF is not being transmitted to the PBX with the new setup. That's why when the customer presses 1, nothing happens. Meanwhile, you can make use of the"AA->Redirect number & AA->Timeout(s)" fields to forward/redirect the call to either sales or accounting so that you do not miss any calls. You are wrong about that one. I asked every caller that I manage to call back and get response from says same thing. Call progresses normally, caller presses 1 to get sales line, there is a music on hold for duration of about 25 seconds while my phone suppose to ring and after that voice says that "sales is busy, leave the message". What they do, hang up! I would say that 1 person out of 15-20 that call in will want to leave the message. If caller is on-line long enough I get e-mail with caller ID. I call immediately back. As for forwarding to accounting line, I didn't think of that. Thank you. I will try to program it tomorrow, maybe I will know how. Ops must have overlooked the name... Anyway if it is hosted you can exclude problems on the trunk side. If you use Aastra is then you must have set it up manually I guess. The main problem will be that the SIP traffic is probably done using UDP, and that is causing problems with firewalls. What firewall or router are you using? Do you see anything there with SIP/ALG in it? Turn it off when you see anything there, this is only causing trouble. If you just have two phones, why don't you buy two snom phones? There you can use automatic provisioning and encrypted traffic, so that your firewall will not be able to intercept and modify the traffic between the phone and the PBX. Yes, I apologize for error in post's name. Tried to fix it but I can't, only Ops can do it, please do, looks bad. Zeros where there is nothing. Take that out. There is no need to port forward the SIP or RTP traffic on the router. It didn't. I lost a call 20 minutes ago. OMG. This is far too much trouble for just two phones. Do you have any SIP packet trace that we can look at? I know the provider is hosting it; will be difficult to get anything from there. Maybe you can get something from the phone's web interface?